This was the first dish Tom and I tried to make from scratch - and trust me, it took us several attempts to get it right! We think we've finally got it just right, see what you think. 3) Once the chicken has fried remove from the pan and put in a bowl. Pour the egg into the pan. 4) "Scramble" the egg and once done, add the chicken back into the pan. 9) Serve and dig in! - add what you like to this dish to increase flavour. We feel it can be pretty bland without the soy sauce and will definitely be experimenting with different sauces in the future! - if you like peppers, you can use this recipe to make stuffed peppers! Q. why use only half a chicken breast? A. It's our way of portioning. We bought a pack of two chicken breasts, which will split into four portions. For the two of us, that's 4 dinners. We're all about our budget! You can use extra chicken if you like! Q. Can I make this dish vegetarian? A. Of course you can. 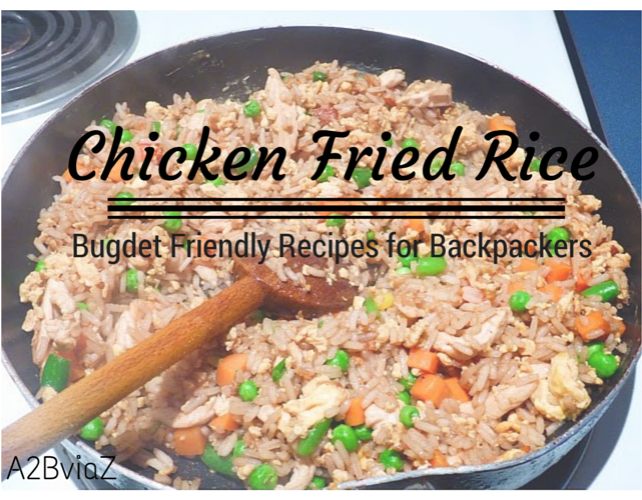 You can cut the chicken out and add more egg to make it into egg fried rice, or you can use a quorn alternative. Follow Shellby's board Travel on Pinterest.